Welcome to our internet home. We are a family-owned Doberman kennel producing only a few puppies each year. We follow the Doberman Pinscher Club of America Code of Ethics and the United Doberman Club Code of Ethics in our breeding practices. We plan limited breedings to produce quality Dobermans from top American and European bloodlines with the beauty to compete in the conformation ring as well as the solid, stable, temperament necessary to compete successfully in dog sports such as agility and schutzhund, and to be outstanding personal and family companions and protectors. We engage in extensive health testing for our breeding animals and provide transparency to our puppy buyers regarding health test results. If you are interested in acquiring a Treasure Seeker Doberman, please complete our Puppy Buyer Questionnaire and email us at Treasure Seeker Dobermans. Pearl Takes Best of Breed in Pensacola! UDC Ch. Treasure Seeker's Black Pearl, BH, WAC, CGCOur working girl Pearl took BOB over three specials at a small show in Pensacola, Florida on March 3, 2019. Thanks to Gina Currier for an outstanding job! 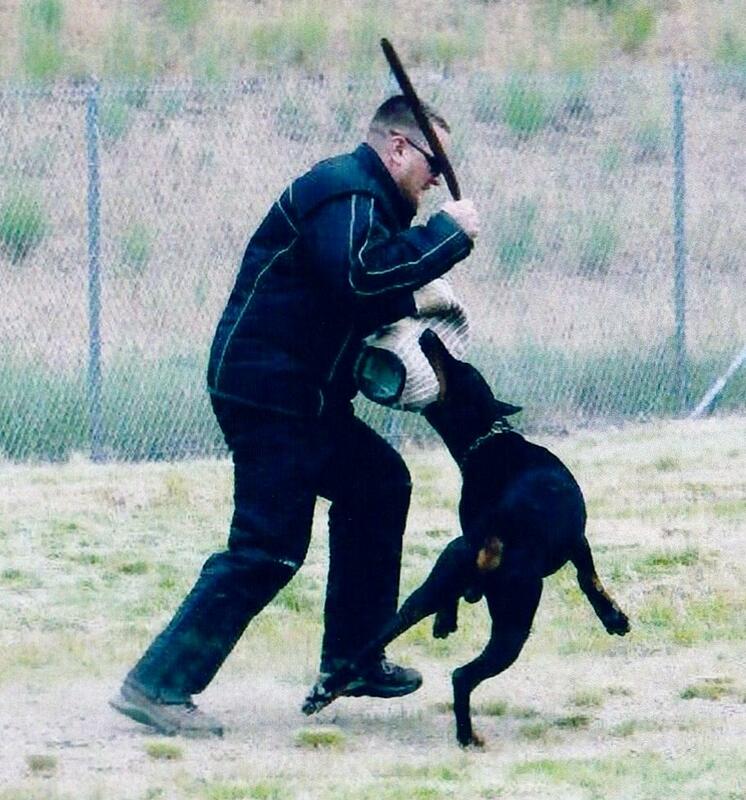 When not in the conformation ring, Pearl continues to train toward her schutzhund titles (now called IGP). Pearl Wins Again! UDC Ch. Treasure Seeker's Black Pearl, BH, WAC, earned two more points toward her AKC Championship at the Tidewater Kennel Club shows 6/30-7/1/2018. Beautifully groomed and handled by Diego and Evelyn Garcia. Thank you Judge Beverly Capstick. When she's not on the road with her favorite handlers, Pearl enjoys training toward her IPO1. Is the Doberman the right breed of dog for me? Yes, I want a Doberman. What should I look for in a Doberman? and the Doberman Pinscher Club of America. If you are interested in bringing a Doberman into your home, but are unable to commit to the purchase price of a quality puppy, please consider rescue. If you have the patience, love, structure, and training commitment required to rehabilitate a Doberman in need, Doberman Rescue of the Triad may have a companion suitable for you and your family.